ContainerCo (NZL) Limited (ContainerCo), the container depot operator, today announced that it has appointed investment bankers, Cameron Partners, to advise on its strategic growth options. ContainerCo resulted from a merger of container depot businesses by NZL Group in 2013 to become New Zealand’s largest independent container depot storage business offering a range of services to support shipping companies and shippers. It also offers container hire and sales services. The company’s depot operations are located in Tauranga, Auckland, Napier and Christchurch, near New Zealand’s four largest container ports. ContainerCo increased revenue in FY2016 to $43.0m, up from $33.8m in 2014 following the merger and on the back of strong industry and trade dynamics. Its customers include some of the world’s largest shipping lines. The sector is expected to generate further demand for services, with container volumes experiencing compound annual growth of 4.3% over the last 5 years. This growth is projected to accelerate due to the increasing containerisation of New Zealand’s bulk cargo. Since 2012, 40 foot and 20 foot container volumes entering and leaving New Zealand have grown by 16% and 8%, respectively. The increase in container volumes is putting pressure on port facilities, creating demand for standalone container storage and repair depots. “ContainerCo’s container depot business is well-positioned to take advantage of these favourable dynamics, and we believe there are also opportunities to expand our complementary hire and sales business given the businesses core expertise. “Realising the company’s inherent potential as a long term infrastructure services business will require additional investment and we have sought Cameron Partners advice in order to assist the company to achieve its strategic ambitions,” Ken Harris said. ContainerCo (NZL) Limited (ContainerCo) is New Zealand’s largest independent container depot storage and repair business and also operates a growing container hire and sales business. The company’s facilities provide key infrastructure services that support the growth of this country’s exports and the increasing containerisation of New Zealand’s bulk cargo. 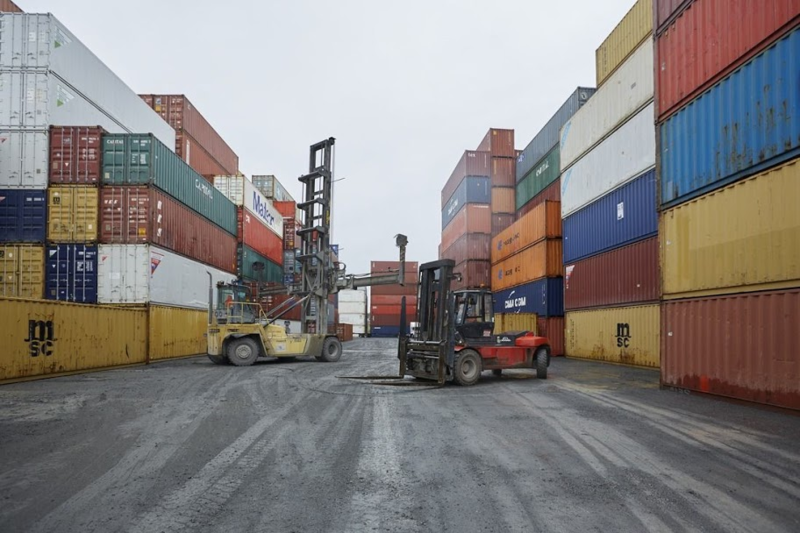 The container depot business operates in the four regions near New Zealand’s largest container ports (Ports of Auckland, Port of Tauranga, Lyttelton Port of Christchurch and Napier Port). Employing 150 staff across these four locations, in the 12 months to 31 March 2016, ContainerCo handled, repaired, stored and serviced some 329,000 TEUs (20 foot equivalent container units). Original generation time 3.9757 seconds. Cache Loaded in: 0.0237 seconds.